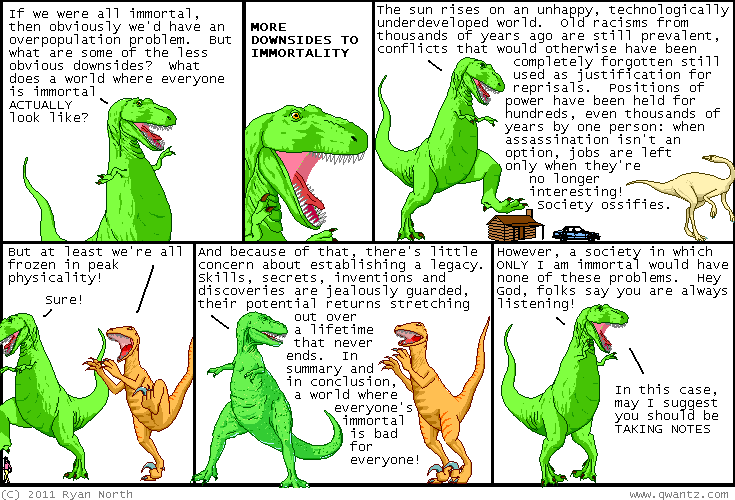 Dinosaur Comics - August 26th, 2011 - awesome fun times! One year ago today: t-rex has said "This just in" before, so I guess this comic establishes that either he forgot about that, or he was working as a newspaperman at the time. actually, let's say "both".